Large Format Meiji Beauty Prints - This print comes from an interesting group of Meiji era beauty portraits in an unusually large format. 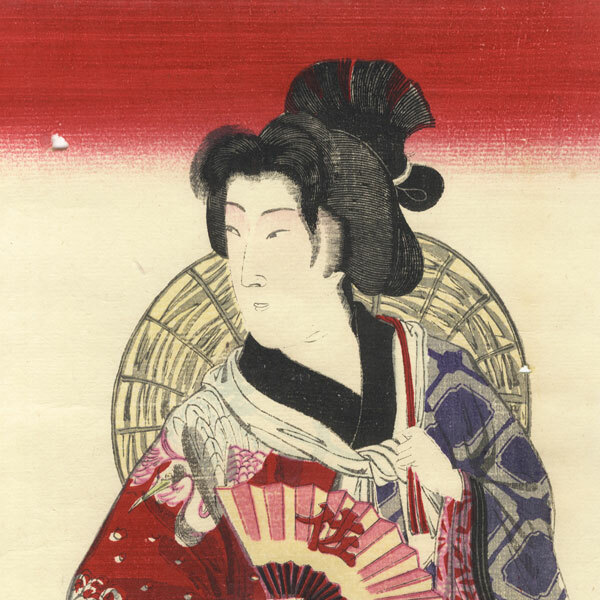 Each woodblock is printed on a single sheet of paper, rather than on two oban size sheets attached together as is commonly seen with large designs from this time period. We rarely see oversize subjects in this single page format. These charming portraits and scenes would make handsome framed displays. 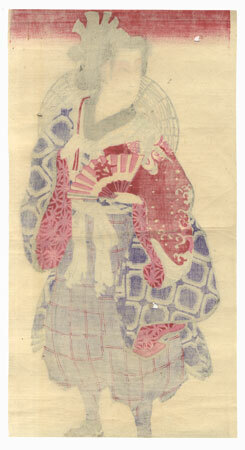 Condition - This print with good color and detail as shown. A few small holes. Creasing, a few small marks. Please note, due to the large size, this print with be shipped rolled. Please see photos for details.